Dainichi Color Intensifier is our most potent color enhancing koi formula. It is heavily concentrated with pure cultured spirulina and Antarctic krill. Our exclusive encapsulation process provides color enhancement not possible with the conventional production methods. . As an added benefit, this two-step application of vitamins and minerals, especially vitamins C & E, ensure that the luster, sheen and whites of your koi are always at their best. 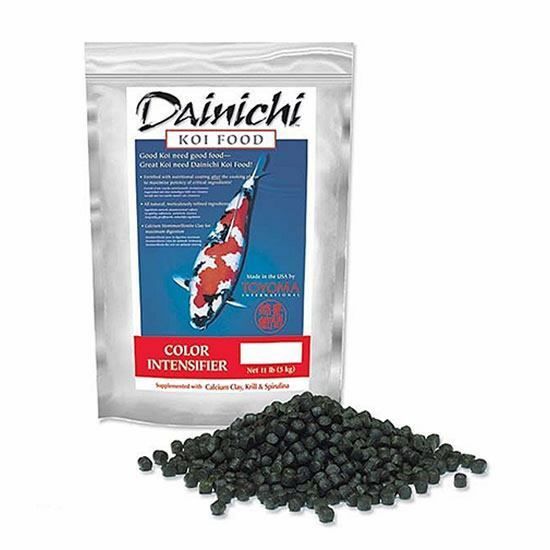 Dainichi Color Intensifier is our most potent color enhancing koi formula. It is heavily concentrated with pure cultured spirulina and Antarctic krill. Our exclusive encapsulation process provides color enhancement not possible with the conventional production methods. The result of this unique feature is that the color enhancers and other nutritive ingredients are in their raw, uncooked state making them unequally potent. As an added benefit, this two-step application of vitamins and minerals, especially vitamins C & E, ensure that the luster, sheen and whites of your koi are always at their best. Dainichi Color Intensifier keeps the body conformation of all koi in a constant show-ready condition. As an additional benefit, the low waste production by koi helps keeps the dissolved organics levels low in your pond, making it an invaluable aid in eliminating algal blooms. White fish meal, wheat germ, wheat flour, shrimp, spirulina, krill, soybean meal, brewer’s yeast, powdered milk, calcium montmorillonite clay, vitamin mix, mineral mix, garlic, protease and natural gum. 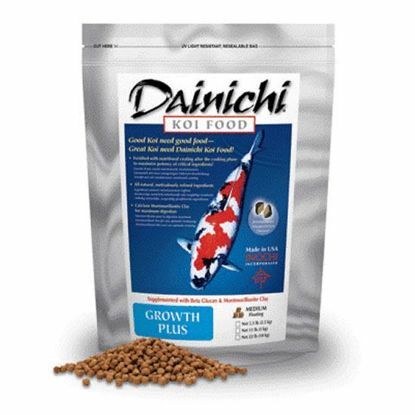 Dainichi Growth Plus is a specialty growth formula with unprecedented amounts of Antarctic krill, shrimp and white fish meal. This formula's main objective is to produce a maximum growth and superior body conformation. 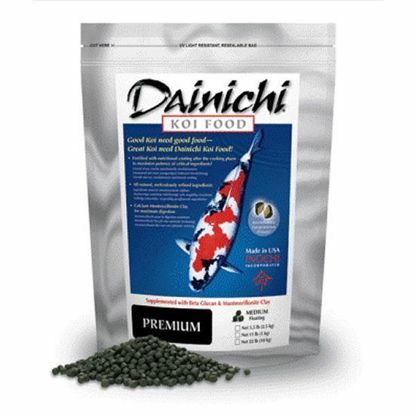 Dainichi Premium is our over-all most popular koi food. Ideal food for keeping all koi in show quality condition, this high performance formula provides your fish with a perfect balance of both growth and color. Copyright © 2019 koipondfever.com. All rights reserved.